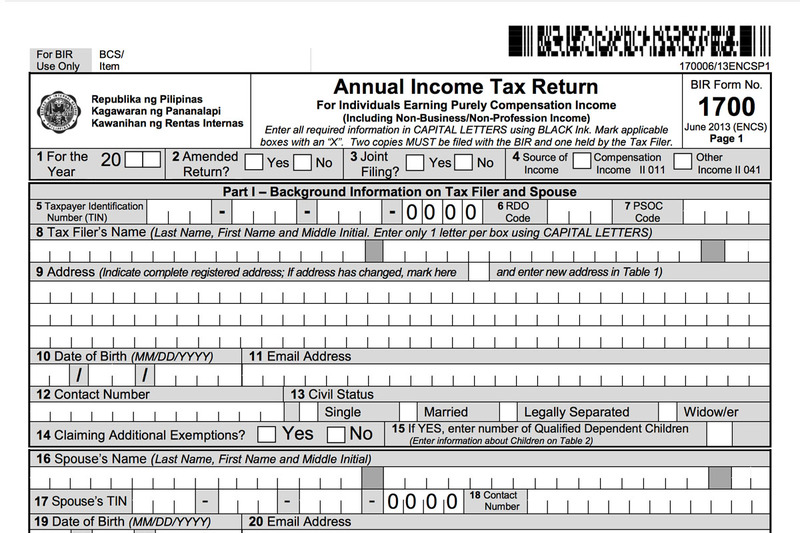 Thursday, March 30, 2017 — The Bureau of Internal Revenue (BIR) announces extension of 2016 Income Tax Returns (ITR) filing from April 15 to April 17, 2017. The Bureau of Internal Revenue had issued Revenue Memorandum Circular No. 28-2017, which marks the official announcement for the rescheduling of ITR filing deadline. According to Neri Yu, BIR Chief Legal Officer for Central Visayas, the deadline was moved due to the fact that April 15 falls on Black Saturday, a non-working holiday. BIR Commissioner Caesar R. Dulay also reminded the taxpayers that there would never be any extensions when it comes to filing these returns, and that failure on filing ITRs may result to penalties such as 20% interest per year and a 25% surcharge. In a recent tax launch campaign in Legazpi City, the commissioner requested that taxpayers must make sure that they are declaring the correct income, in order to avoid being charged with tax evasion.